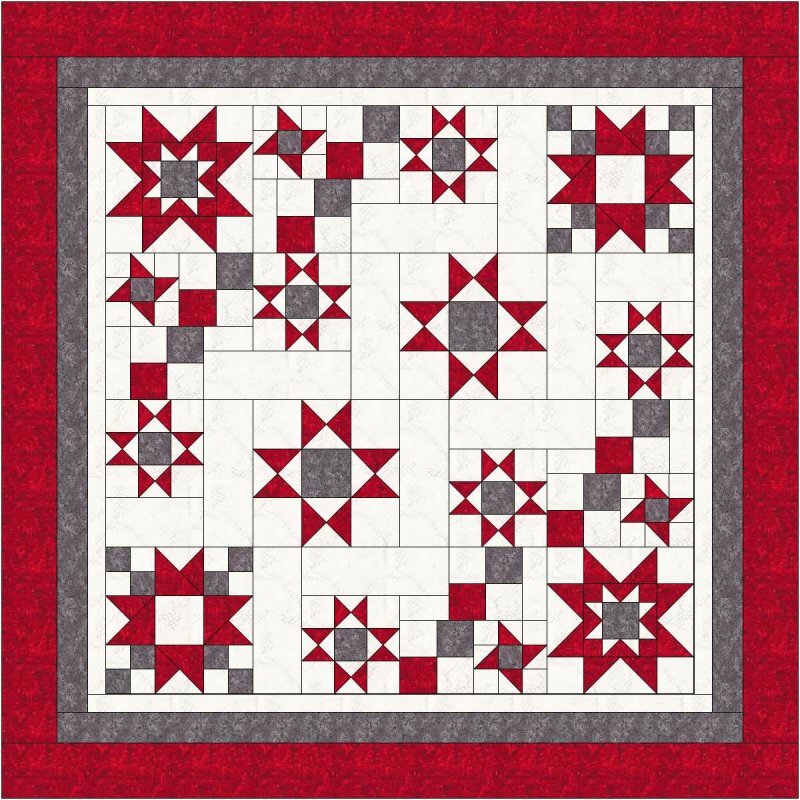 Use the Eleanor Burns’ method to make 8 flying geese blocks that square to 3 1/2” x 6 1/2” and 8 flying geese blocks that square to 2” x 3 1/2” using the image for fabric placement. Please know that our patterns undergo several edits before they are printed in an effort to ensure they are correct. We apologize for this mistake and any inconvenience it may have caused.